Can Bookies Refuse to Pay Out? Can bookies refuse to pay out? Indeed, they can, and often do. Given the slightest opportunity, bookies will wriggle out of paying out big wins usually citing obscure rules buried deep within the small print of their terms and conditions as justification for doing so. It is worth familiarising yourself with some of the most famous cases and the grounds for when bookies may not pay out, so you are not caught out in the same way that these people were. Take the ongoing court case between the student Megan McCann from Belfast and a major bookmaker Bet365. McCann claims that she is owed £1,009,960 from a £25,000 stake on 12 horses that ran in four races in 2016. Her wager consisted of 960 “Lucky 15” each way bets. McCann was 19 when she placed the wager. Bet365 says that McCann’s bet breached their terms and conditions that state nobody can place bets on behalf of a third party, which they claim McCann did. She does not deny that third parties were involved, but her solicitors point out that the rule is embedded so deeply within the long and detailed terms and conditions and that it is unfair to expect customers to be aware of it. As her lawyers have also indicated, such a rule would preclude a husband placing a bet on the Grand National on behalf of his spouse. The case is due to be heard on 13th November at the Royal Courts of Justice in Belfast and could have profound implications for punters were McCann to win. It would be a victory for what campaigners have long argued against – bookies putting obscure and unfair clauses in their terms and conditions to harm the punter and protect their own profits. Quite why Bet365 have this clause in their terms is something of a mystery in any event, although it could have to do with money laundering. In cases where it is clear that this was not used for money laundering however (which McCann’s seems to fall into), one has to question whether it is fair on the punter. How could bookies possibly know when a punter has put a bet on for a friend or family member rather than for themselves – without engaging in illegal activity and breaching privacy laws? And where would they draw the line – what about a family member providing a “tip” that you then go onto place? So the case will have significance for the future relationship between bookies and punters and it is likely that most punters will be cheering for McCann and for her to be paid out the monies that most would say she rightfully won. Barney Curley is a professional gambler and trainer who has had many tussles with bookmakers. He was the person behind the famous Yellow Sam betting coup that netted €1.7 million at today’s prices. Although the bookmakers initially tried to get out of paying, eventually they did pay out, but they did so in single notes screwed up and packed into 108 bags. He was also involved in other betting coups one of which cost the bookmakers over £3.9 million. On this occasion, one of the bookmakers involved refused to pay out £823,000. Curley took them to court, and they were forced to pay out. Andrew Montague was the Curley’s lawyer in the case, and he is also representing Megan McCann. 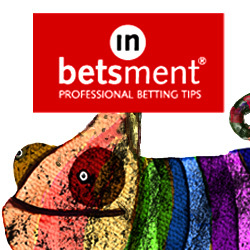 The way to ensure that the bookie will honour your bet is to stick to the rules and be careful not to make a mistake. To illustrate this with a cautionary tale: Jordan Donnellan, a 19-year-old barman, placed a £1.00 14 team football accumulator at odds of 1,000,000/1. A throwaway bet he paid it no attention until he discovered at his local pub he needed just three more results to come in for a win. The required results came in over the afternoon. He had won £1 million. On visiting the bookies to collect his winnings, he discovered the bet was void as they claimed he had used the wrong betting slip. These are just a few examples of bookmakers wriggling out of paying out; there are thousands more we can quote. Unfortunately, it is a case of caveat emptor, buyer beware. Bookmakers must observe their own terms and conditions, but when they obfuscate them with ambiguous language and bury them deep within the small print, sometimes only the courts can decide on who wins and who loses. But, if you make sure you stick to the rules as reasonably as you might be expected to do so and avoid silly errors such as filling in the wrong kind of betting slip, you should have nothing to worry about. Ultimately it is only by keeping the trust of their customers that bookmakers can maintain their businesses. They need us to trust them; which is why in normal circumstances they will pay out – probably 99.9% of the time. It is usually only in circumstances that involve a really big win and one of their obscure terms that you could fall foul of the bookies not paying out. Even then though you have expert lawyers like Andrew Montague to take your case on, so all is not necessarily lost. As ever, the battle between bookies and punters goes on. We can only hope that the courts start standing up for punters’ rights and only the most flagrant example of cheating like those connected to match fixing are not paid out. But the rest of the time you should expect that the bookies will pay out if you have placed a bet in good faith. Get your revenge on the bookies and learn how to make up to £500 per month in low-risk profit from the bookies here. I for one will close my account with bet365 if this isnt settled in Megan McCanns favour. Ludicrous that its had to be taken this far.